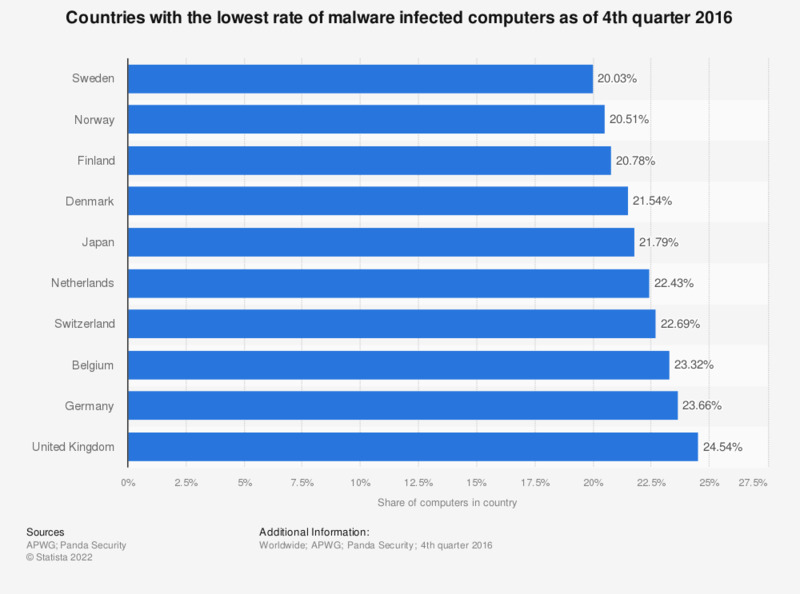 The statistic presents the countries with the lowest malware infection rates. As of the fourth quarter of 2016, Sweden was ranked first with a malware infection rate of merely 20.03 percent. In Germany, 23.66 percent of PCs were infected.